With the GO Fest, Pokemon GO is celebrating its one-year anniversary. However, there is currently confusion within the community about various details of the event, especially the legendary Pokemon and the so-called Mysterious Challenges. In our news, we light up and tell you everything you need to know. 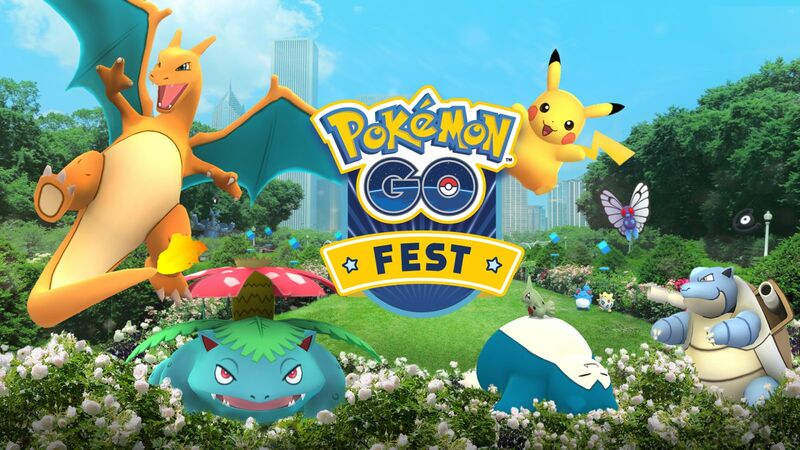 • The actual GO Fest will take place on 22nd July in Chicago. However, players can and should participate in the preparation for the event, which will be on the day in Grant Park. • Before July 22, players must catch as many Pokemon as possible in the 30 minute timed-window to unlock the so-called "Mystery Challenge", which is then opened in Chicago. In Chicago these timed-challenge-windows are between 11:00 and 11:30, 12:00 and 12:30 as well as 15:00 and 15:30. • During the event, you benefit from certain bonuses, such as Electric/reduced egg distance, Fire/candy bonus, Water/XP bonus, Grass/stardust bonus, Rock/buddy distance bonus, Normal/encounter rate bonus. The more Pokemon the trainer catches the world, the longer the bonuses continue - staggered after medals in bronze (24-hour bonus extension) and silver (48-hour bonus extension). • If the players of Pokemon GO are able to catch enough Pokemon and reach the Gold Medal during the timed-window, Niantic will release the Mystery Challenge in Grant Park. • It is not yet known what this challenge is. However, Niantic promises that all players receive "a major global reward" if the fans defeat the Mystery Challenge in Chicago. The community is currently assuming that it could be the Legendary Pokemon. Are you already diligently hunting for Pokemon? Read more news about Niantics mobile app on our Pokemon GO theme page.